Previous rumors had suggested that the new Samsung Galaxy S8 and S8 Plus would be announced on the 29th of March and Samsung has now confirmed this. 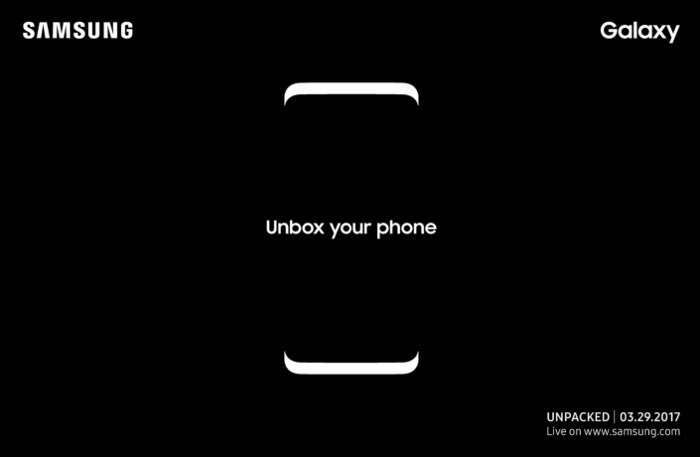 Samsung has revealed at Mobile World Congress that the new Galaxy S8 and S8 Plus will be announced at a press event on the 29th of March. The event will take place in New York at 11:00 am EDT and Samsung will live stream the event, the handsets are expected to go on sale in early April.